Joeun Dental P.C. (Flushing) - Book Appointment Online! Dr. Kim puts his 30 years of experience to work for his community in New York. We speak English, Korean and Chinese, and offer a wide range of services, including: - Cleanings to keep your teeth and gums healthy - Examinations to catch any problems before they become larger and more costly - Services to restore the health and beauty of your smile like restorations, crowns, extractions, dentures and teeth grinding treatment We are proud to provide a state-of-the-art facility for the highest quality dental care available. It is one of our top priorities to protect the well-being of our valued patients. For this reason, our office meets and surpasses all OSHA (Occupational Safety and Health Administration) and CDC (Center for Disease Control) standards. We are confident that you will feel right at home in our office as we welcome all patients as if they were family. nice place. updated equipments and clean. 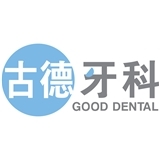 very good dentist & staff!